The movement in the tail of the fish [the far North] responds. In our midst we now have Tai [Eddie Taihakurei Durie, tribunal chairman]. Now is the time to give strength to the treaty. 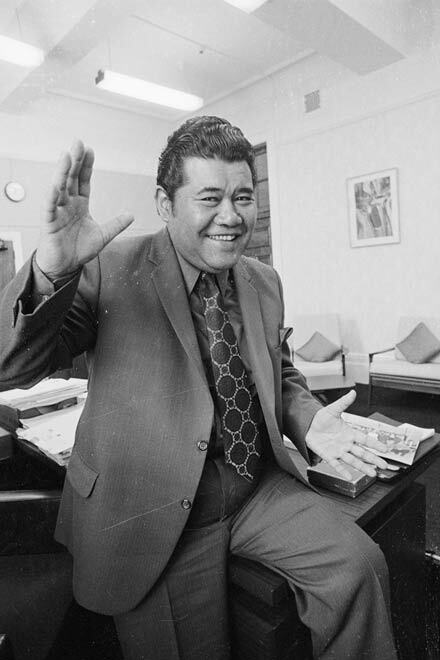 Tainui [Koro Wetere, minister of Māori affairs], Rāwiri [David Lange, prime minister] and Pāora [Bishop Paul Reeves, the governor-general]. Between you, this fish can swim. Tauiwi [Pākehā and others], the time is now to face each other.